ASCONA C 2.0i / 2.0i CAT / 2.0i GT. VAUXHALL / OPEL FUEL INJECTION PUMP RELAY UNIT. -ASTRA F / ASTRA MK3 1.8i / 1.8i 16V / 2.0i / 2.0i 16V. FITS VAUXHALL/ OPEL OPEL: 1238539 / 1238540 / 1238549 / 1238966. PART NUMBER - 55354141. VAUXHALL ZAFIRA B - 2005-ONWARDS 1.9DIESEL CDTI. GENUINE VAUXHALL GLOW PLUG RELAY. PART NUMBER - 55353011. Agila A 00-08 - All 1.3 diesel models engine Z13DT. Agila B 08 Onwards - All 1.3 diesel models engineD13A & Z13DTJ. Zafira A 98-05 - All 2.0 & 2.2 diesel models engine Y20DTH & Y22DTR. Part Numbers: 55354141, 9132691, 6235303. For Vauxhall Zafira B (2005-2015) Models With Z17DTJ, A17DTJ, A17DTR, Z19DTL, Z19DT, Z19DTH Diesel Engines. For Vauxhall Vectra C (2002-2008) Models With Z19DT, Z19DTH Diesel Upto Chassis Number -61010105 and -48999999 And Y20DTH, Y22DTR Diesel. Vauxhall corsa astra combo vectra indicator relay in full working order. FITS OPEL/ VAUXHALL ASTRA F ESTATE (51_, 52_) & F HATCHBACK (53_, 54_, 58_, 59_). ASTRA F VAN (55_) CORSA B (73_, 78_, 79_) CORSA B BOX (73_) -2.3 TD INERC. FITS OPEL/ VAUXHALL GENUINE GM. TIGRA (95_) -2.3 TD INERC. NEW VAUXHALL/ OPEL FUEL INJECTION PUMP RELAY. FITS VAUXHALL/ OPEL OPEL: 1238539 / 1238540 / 1238549 / 1238966. PART NO:90240698. STARTER RELAY - GREY - 4 PIN 280 HC MICRO. GENUINE GM PRODUCT. Part number is : 90240698. This is a genuine GM Relay. PART NUMBER - 11067JD50A. NISSAN NAVARA NP300 - 2.5DCI 4WD - 2008-ONWARDS. NISSAN QASHQAI - 2.0DCI - 2007-2013. 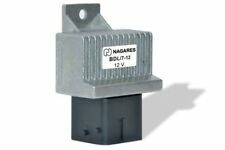 GENUINE NISSAN GLOW PLUG RELAY. NISSAN - MURANO - 2.5DCI - 2010-2014. NISSAN NV200 - 1.5DCI - 2010-ONWARDS. Part number is : 90508807. This is a genuine GM Relay. GM 90 055 543 Flasher unit 2/4 21W in Lucas SFB 162 box. May be the equivalent. GM 90 055 543 Flasher unit 2/4 21W in Lucas SFB 162 box. May be an equivalent part. Please look at pictures for more information these form part of the item description. Delivery by standard Royal Mail. I use some recycled packaging to keep everyones costs down, but, packaging is always more than is required, I don't scrimp. Please pay by PayPal, I will despatch asap after receipt. Any questions or problems please contact me via ebay and will do my best to sort it out. Finally thanks for looking. PART NUMBER - 91167210. VAUXHALL MOVANO A 1999-2010 1.9DTI - F9Q-772. MOVANO 2.2 DTI - G9T-720, 722. MOVANO 2.5 DTI - G9u-720, 724, 750, 754. SAAB - VAUXHALL - FIAT - AND MORE! 2.5 DTI MODEL. 1.9DT / DTI MOODEL. AB, BT, FK, GY, HS, IM, IV, KA, KW, PA, PH, ZE, all Islands excluding IOW. Vauxhall Part Number: 13148947. Item details: Genuine Vauxhall Exterior Mirror Delay/Rear Heated Window Relay. RRP Correct at 07/09/13. PART NUMBER - 9640469680A. BIPPER - 1.4HDI - 2008-ONWARDS. GENUINE PEUGEOT GLOW PLUG RELAY. PARTNER - 1.6HDI - 2008-ONWARDS. EXPERT - 2.0HDI 140 - 2007-ONWARDS. VAUXHALL - SAAB - FIAT & MORE. Genuine glow plug timer relay, not used part number 55354141. Please make sure this item is compatible with your vehicle before buying. GENUINE GM VAUXHALL PART. VAUXHALL PART NUMBER : 90357986. TO FIT : VAUXHALL - MANY MODELS AND MANY USES. PART : RELAY WITH VARIOUS USES INC WINDOW POWER RELAY, STARTER RELAY. ACTUAL ITEM IN PHOTO. YEARS : VARIOUS. 1 Rear Wiper Relay 90089864, fits many models. 1Flasher Relay 09207991, again fits many models. You always get those who spoil it for the rest, sorry! sorry no cheques. 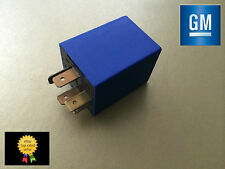 Vauxhall / Opel Blue Wiper GM Relay 90 240 092. 4.3 Collection of item is subject to section 7.1. If you fail to accept this You will be defaulted to subject to section 7.1. The onus is upon You to request a level of service if not currently presented. This is a genuine General Motors item and is part number: 13266315. This was bought for a Corsa though was not needed hence this sale. PART NUMBER - 55557760. VAUXHALL CORSA D - 1.3CDTI -2006-ONWARDS. VAUXHALL CORSA D VAN - 1.3 CDTI - 2006-ONWARDS. PART NUMBER - 93862497. VAUXHALL MOVANO B 2010 - ONWARDS 2.3 CDTI. VAUXHALL VIVARO A 2001 - 2015 - 2.0 CDTI. GENUINE VAUXHALL GLOW PLUG RELAY. VAUXHALL - SAAB - FIAT & MORE. Compatible with Vauxhall Genuine GENERAL MOTORS par. Astra (85-93). 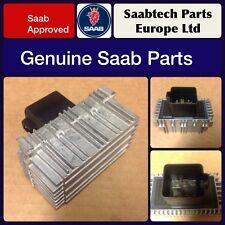 GM Vauxhall Saab Relay - GM 90 491 314 Tyco. Wiring Harness Repair Kit Plug Connector. GM RELAY YELLOW 90226846 TYCO V23134-352-369. Compatible With Vauxhall (1.9 litre Diesel engines) Genuine GENERAL MOTORS part. 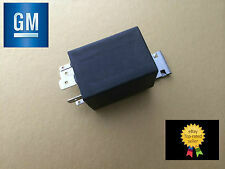 Vauxhall / Opel / Saab - Multi Purpose Black Relay GM 13 266 316.